With so much romance in the air, it's not surprising that many a proposal is made in the Algarve. 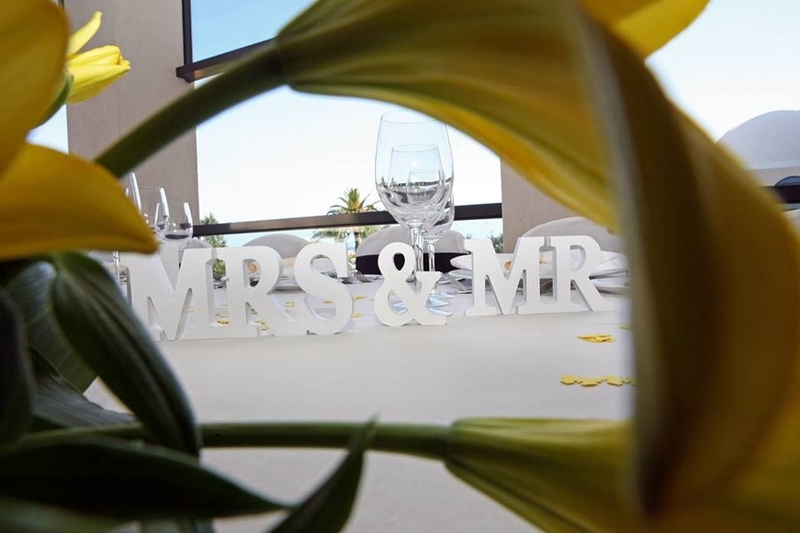 There are so many great reasons to get married in the Algarve it’s hard to know where to start….From popping the question to enjoying the honeymoon, the Algarve has perfect settings for each moment of your wedding abroad. Here are some of our favorite reasons for getting married in the Algarve. The Algarve is packed with romantic places. Stunning beaches, unique coves and caves, ochre cliffs topped by green pines with the blue, blue ocean in the background, solitary light houses and ancient castles – perfect settings for romantic and intimate wedding ceremonies, not to mention ideal photo opportunities. With so much romance in the air, it’s not surprising that many a proposal is made in the Algarve. The Alvor Boat Trips crew have witnessed at least five wedding proposals during their champagne sunset cruises……. Great weddings need great planning - and the Algarve has some of the best wedding planners around. The Quinta do Lago wedding team doesn’t do production line weddings. Each wedding they plan is as individual as the bride and groom, with special and unique touches that make your wedding day absolutely yours. Whether you are planning a traditional wedding with a church ceremony or a more bohemian affair with sand between your toes, you will find your perfect wedding venue in the Algarve, from quaint cliff-top chapels like Senhora da Rocha for the ceremony to luscious and luxurious resorts for the reception. 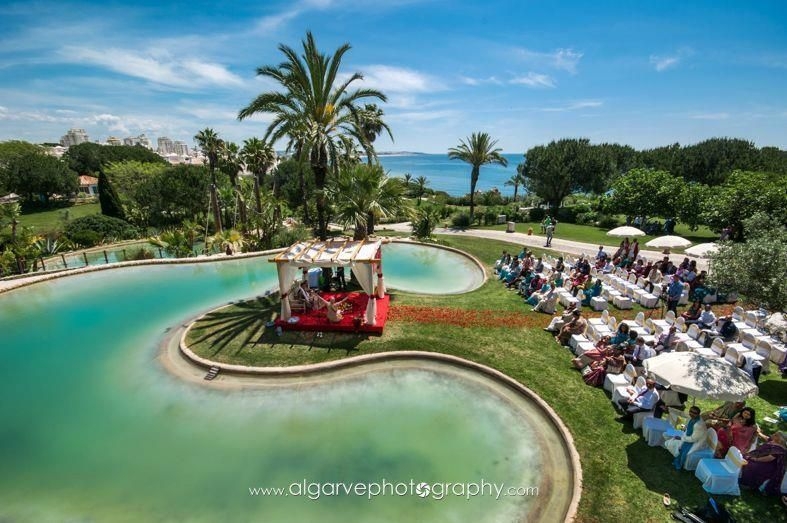 Favourite wedding venues in the Algarve include Vila Vita Parc (check out these fabulous photos of an Indian wedding there) and Pestana Alvor Praia, a premium resort overlooking the beach, with direct access to the golden sands via the hotel's elevator. In fact, the Pestana resorts offer some excellent wedding packages at their venues across the Algarve. Algarve summer nightlife is very lively with lots of clubs and bars, ideal for traditional Hen and Stags where lots of drinks and party fun is the plan. But your options are not limited to that. There are lots of awesome things to see and do in the Algarve. For both Hen and Stag parties, a boat trip along the coast is a great way to relax and have some fun. Add in a BBQ on the beach or some fishing for extra entertainment before hitting the nightspots. For something completely different, you could turn your Hen party into a luxury Bridal Bootcamp for you and your bridesmaids at beautiful Vivenda Miranda. There are lots of practical considerations to take on board when planning a wedding abroad. One of the most important is ease of access to your chosen location. Happily there are flights from just about every major city in Europe to Faro airport, with a flight time of under 3 hours from most of them. With plenty of low cost airlines flying into the Algarve, your wedding guest should have no trouble finding a suitable flight. 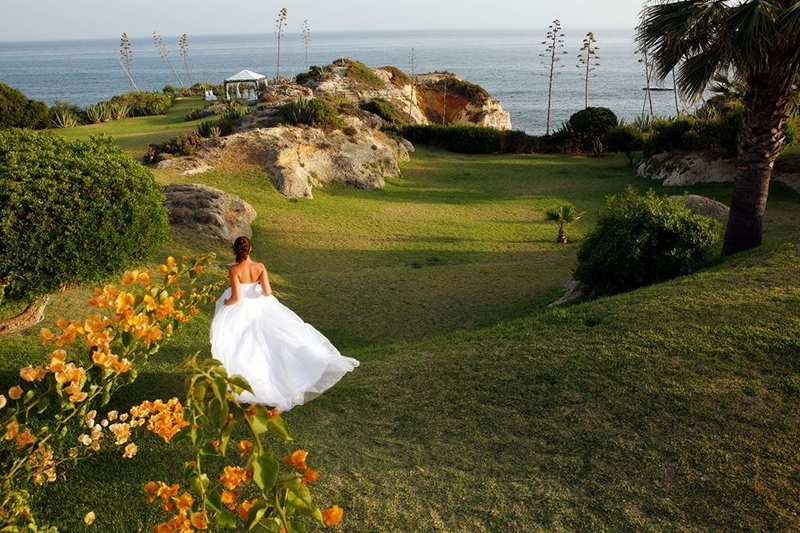 The Algarve is a great value wedding destination. Your wedding budget goes much further in the Algarve, giving you the wedding of your dreams at a very competitive price. Do some research, have a clear idea of what you want and you should be able to source what you want at the price you need. Better still, get a wedding planner to do that work for you. Their contacts will probably save you money, and will definitely save you time and stress. Being good value does not mean being cheap. You can be assured of a stylish wedding in a gorgeous setting and still come in under budget. The Algarve isn’t good just for weddings –it’s great for honeymoons too. There are beautiful and intimate boutique hotels perfect for romantic interludes, countryside retreats for a tranquil start to married life, as well as the ultimate in luxury, like the Garden Roof suite at Conrad Algarve – 300sq metres of comfort with private sauna and steam bath, private butler service and an infinity pool within the suite overlooking the resort gardens…. If you want to get married in the Algarve you have plenty of options. You can opt to have both the civil and religious ceremony here (the bureaucratic and legal side is not as bad as you might think and a good wedding planner will make it easy). You can opt for a symbolic ceremony only, and there are some excellent wedding celebrants in the Algarve that will craft beautiful words to suit your occasion. You can choose a large and lavish affair at a leading resort or a quiet event at a private villa. And your guests can choose the type of accommodation that suits their tastes and budget from high luxury right through to campsites. While there are no guarantees, with over 3.000 hours of sunshine per year, chances are the weather will be just fine on your wedding day in the Algarve. The wedding destination you choose will always be special to you. The Algarve is the kind of place you can come back to time and time again at different stages in your life, revisiting old memories and creating new, from your wedding day to family holidays with your future children and grandchildren.